You might ask, why is it that easy to manage the WordPress? Well, because it has the Content Management System (CMS) from which you can alter the design and edit it based your wishes. Using Content Management System is similar to typing a text in a Word Document. The above-mentioned feature of WordPress makes it highly popular and demanding on the current market. Moreover, if you use the WordPress theme, you will have a website with responsive design. The responsiveness means that website can be accessed through any device like mobile phone, personal computer, laptop, tablet and etc. The layout of a website will be altered based on the screen size of the device that is used. In other words, the website layout will always look flawless, leaving the viewers of it highly satisfied. The Roofing and Construction WordPress template can be used by companies and businesses that offer various construction services. Nowadays, it is highly important to have an official website in order to increase the target market. Internet is the most popular source of information therefore it is the best place for promoting the business. 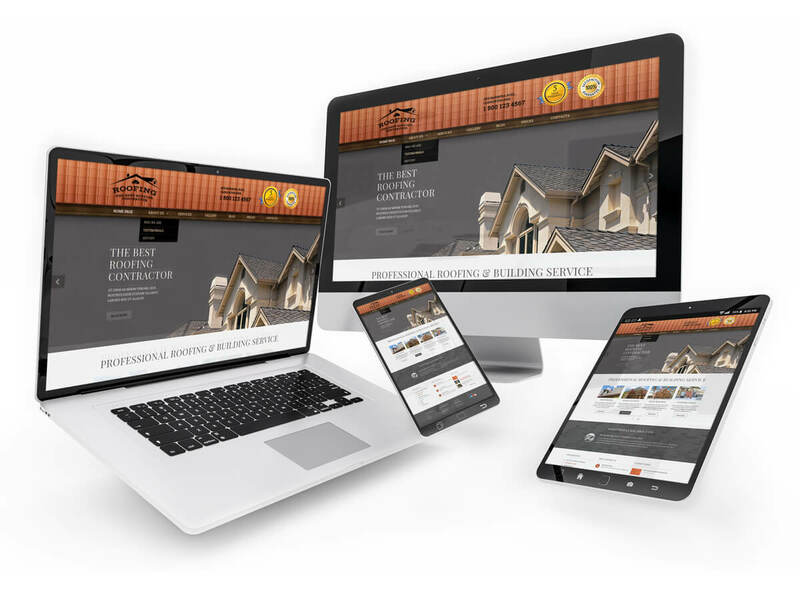 If you have a construction company and want to create a website to publish the relevant information, then this is your chance and do not miss it. The offered WordPress template has seven different pages which can be used to reflect on various things in a detailed manner. These seven pages are Home, About, Services, Gallery, Blog, Prices and Contact Us. The Home Pae briefly summarizes the whole information that is included in the website. It also offers the slideshow which can be used to publish different pictures that are relevant to your services and activities. You will also be able to publish the testimonials from your customers to increase your company validity and reliability. It is always a good idea to present the feedbacks from the current customers to attract the new ones. About page can be used to compromise the company history, achievements and information about staff members. You will also be able to publish the team members pictures along with their job status. The Services page can used to reflect on provided service in a very detailed manner. There can be presented every solution that is offered by your company by bringing out some past projects that you have worked on. Gallery page can be used to publish various images about the company, offered services, past/current projects and etc. All the images which are included in the template can also be used since they are also incorporated in the price package. Moreover, the template package includes not only images but also the design in PSD (photoshop). There is also provided the separate page for blog which can be used to publish the interesting and engaging news which are related to your business activities. Blog is always a good idea to boost up the traffic of your website. Since costs and expenses are very important to every potential customer we decided to create a separate page for Prices. In this section you can publish all of the information about prices that are charged for specific services in a very meticulous way. The last but not least is the Contacts page which can be employed to provide the contact information like telephone number, street address, e-mail address and etc. In this page there is also incorporate the Contact Form which will smoothen the communication flaws between you and customers. By providing their e-mail addresses, they can send messages anytime they want. If you have any questions or concerns, please leave them in a comment section and our support team will get back to them as soon as possible. We will offer the video tutorial to fill up the gaps that you have fully.